Because this dish is so versatile, I purposely don't give exact measurements here - some people like tons of sauce, some people like more tofu, herbs, etc. I give ratios so that you can make the amounts that work for you! 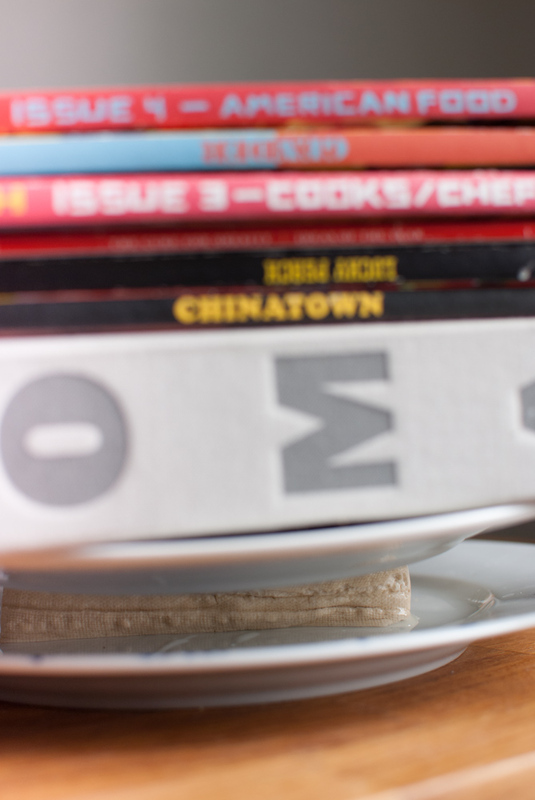 Put tofu between two plates and stack books on top. The earlier you start (e.g. overnight), the crunchier your tofu will be, but I find that unpressed firm tofu is still delicious for this! Prepare a jar of vinegar (water down for less intensity if desired), with a few pinches of sugar, and a pinch of salt. I make more than I need and keep them in the fridge for snacks or other use. Cut carrots in stick or use a vegetable peeler to get thin ribbons, and put in vinegar. Shred lettuce and herbs very thinly, cucumber into sticks. 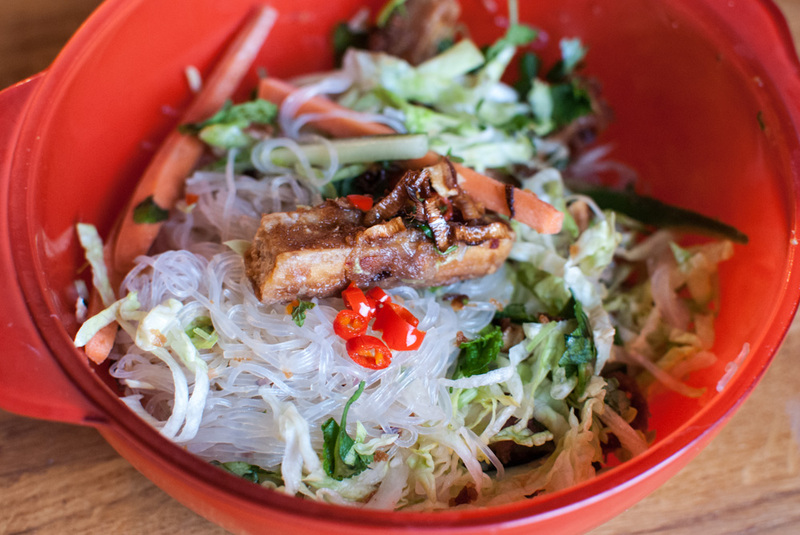 Ratio of 1:2:2:8 - for example, 1 Tbsp of brown sugar, 2 Tbsp fish sauce, 2 Tbsp lime, 8 Tbsp hot water (~2 servings). These are general guidelines, so start with this base, then adjust according to taste. Add birds' eye chillies if you like spice! Throw away liquid pressed from your tofu. Pan fry at medium high heat in oil until all sides are browned. Make peanut sauce: 2 parts peanut butter to 1 part soy sauce, then thin with hot water until you get a thick but pourable consistency. If your PB doesn't have sugar, add some sugar to taste. 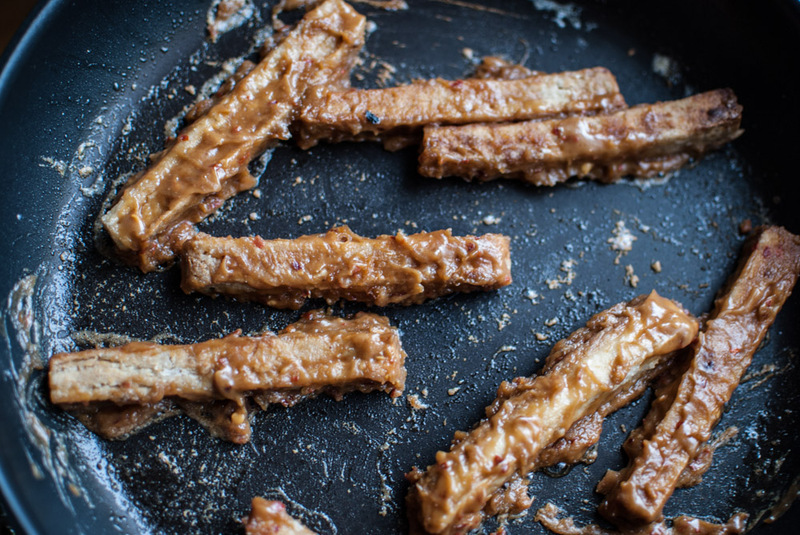 Once tofu is browned, pour sauce over tofu (still at med-high heat), and fry until sauce is set and hot. Quickly into boiling water, then out and in cold water as soon as they are soft. You choose when to prepare these - earlier if you like your dish cold, at the end if you like your dish hot. I like my dish warm, so make the noodles somewhere in the middle. 6. Mix! Pile your ingredients on top of the noodles, and pour sauce over the dish. Optionally top with roasted peanuts.